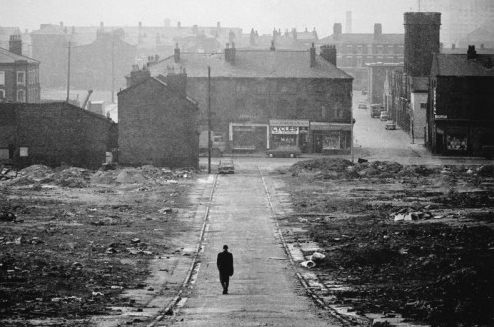 Watching ‘Of Time and the City’ again in Leeds last week, where Terence Davies remembers his growing up in 1940s and 50s Liverpool, inevitably made me remember my own early years. 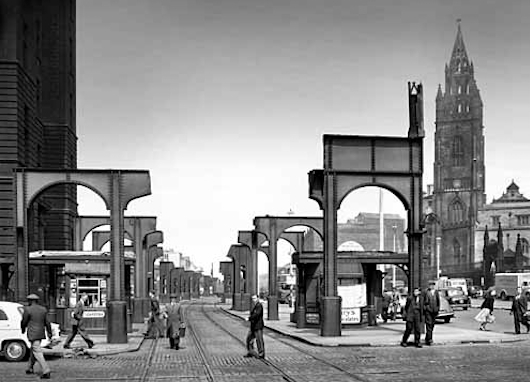 I didn’t arrive until the 1950s, but his Liverpool looked the same as mine. Battered. Taking a long time to recover from the war. From the Victorial Monument, looking towards the Custom House. And the opposite way, along Lord Street. The Custom House up there looks like it’s survived the war, but it didn’t. 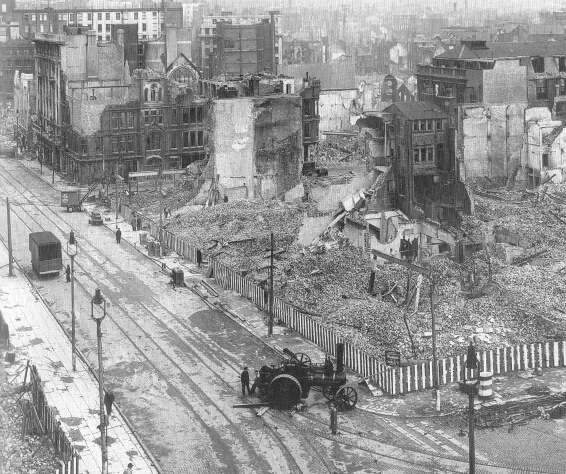 Indeed some of the bomb sites around the city centre here weren’t finally built on until this century, when Liverpool One was constructed. Spending the intervening years as unsurfaced car parks we all kind of forgot were really bomb sites. So, anyway, I arrive in 1954 to a monochrome world where food rationing hasn’t quite ended and people are still talking about the war like it ended a few weeks ago, rather than nine years. The other thing they’re talking about is football, this is Liverpool after all. We live in a shared house here, In Diana Street, Walton. 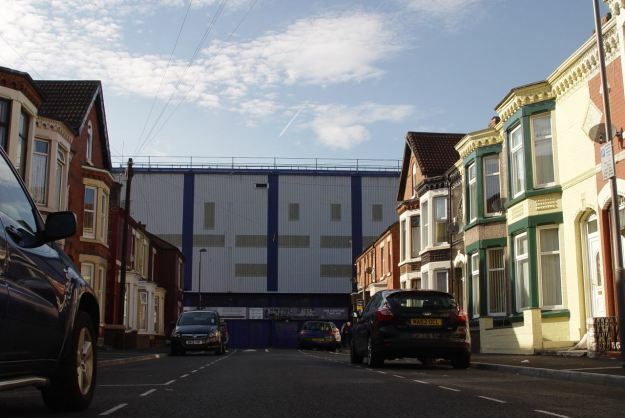 That’s Everton’s ground at the end of the road and I have many early memories of standing in our front window watching everyone piling into the ground on match days. They could get 70,000 in there then. Despite our location we aren’t an Everton family though. However it is it happens, genetics or inheritance, we are Liverpool fans. And as I learn how to walk and talk I am taught, in no uncertain terms, about the fact that the greatest footballer who has ever lived is currently playing for Liverpool. 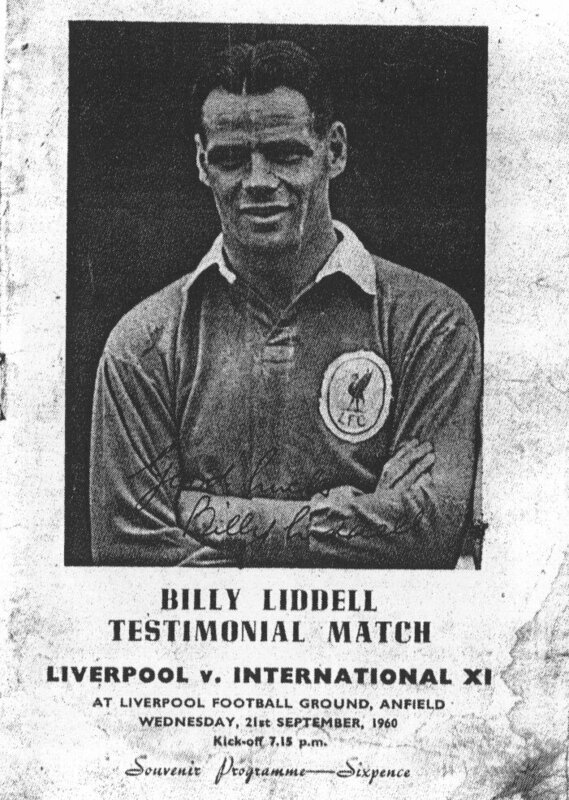 He is Billy Liddell. 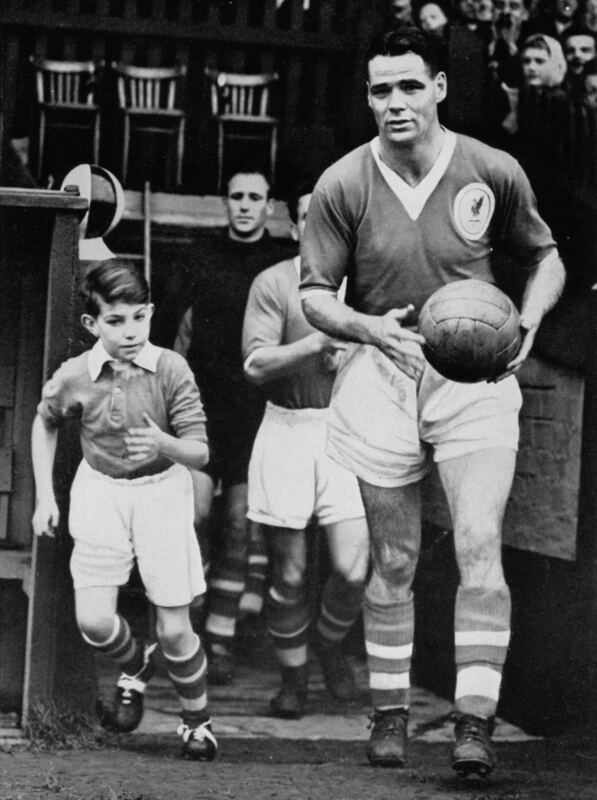 On the advice of Matt Busby, Liverpool’s captain in the 1930s, the club have signed Billy early in the war. 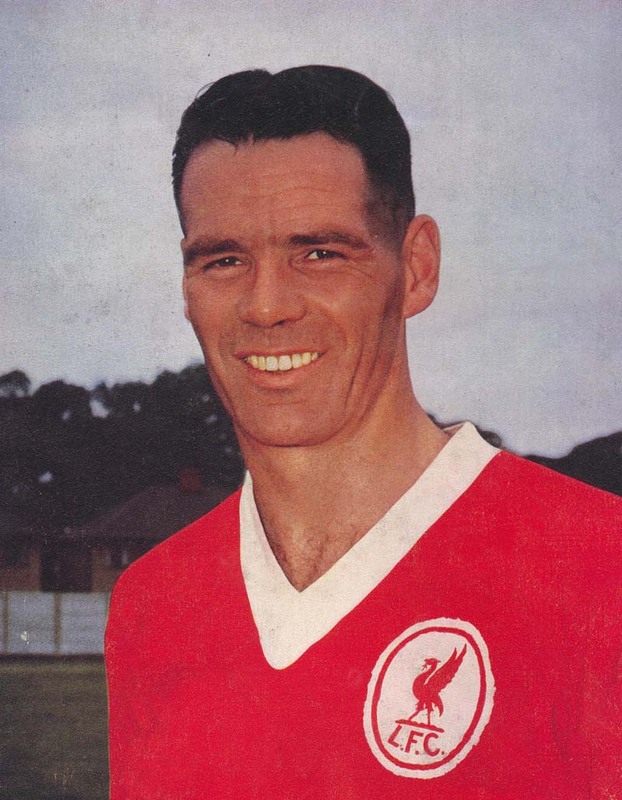 And though he spends the war in the RAF he still manages to turn out in over 150 games for Liverpool and a good few for Scotland. The wartime government, mainly socialists remember, realising that football is good for general morale and well-being. 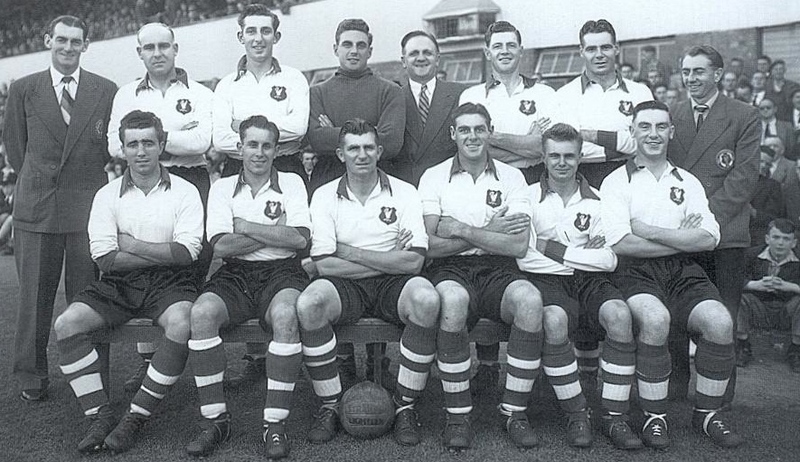 As the war ends Billy and his team mates turn out to be very good for the well-being of battered Liverpool as they win the League in 1946/47, the first full post war season. 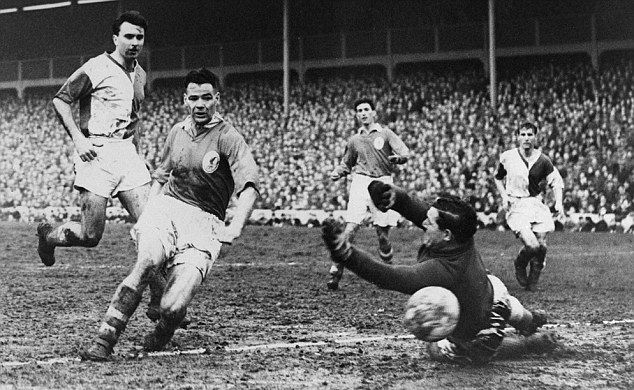 Billy and fellow forward Albert Stubbins being as lethal in front of goal as Luis Suarez and Daniel Sturridge will prove to be many years later. 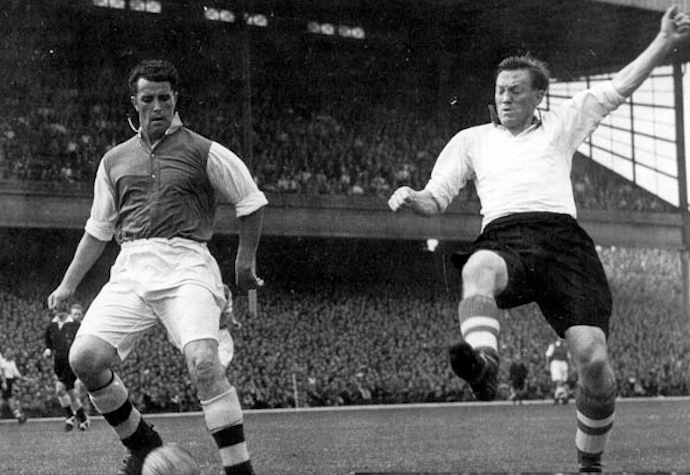 Albert Stubbins in the white shirt, what a great name. “The truth is that everyone knows them to be an attractive, compelling side with a strange mixture of the very good and the very bad…and they so often produce the latter when least expected, hence their tag of ‘The Crazy Gang’. They set their supporters hearts on edge. Give them a trifling match and they make a race of it, just as some Derby horse makes a race with a donkey. 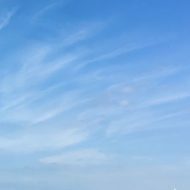 At other times – and how contrary they can be – they will reveal form that one thought hardly possible. 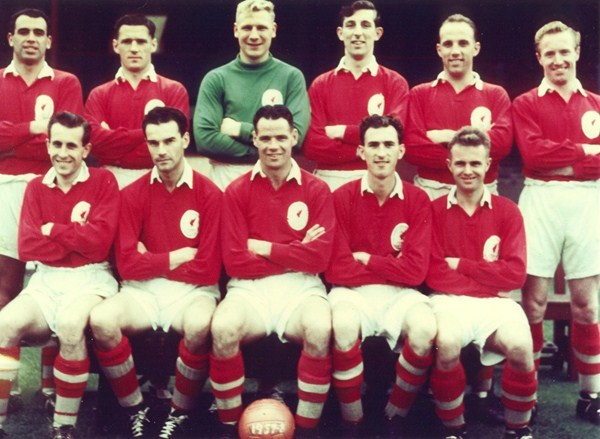 ‘The Crazy Gang’ go on to reach the FA Cup Final in 1950, first time Liverpool have ever got there. 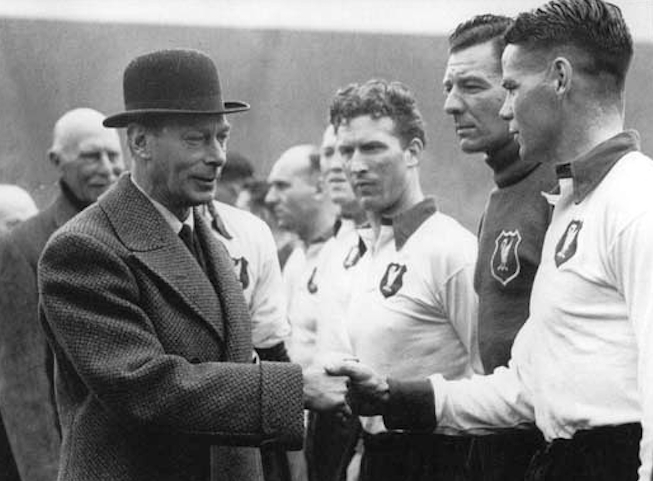 Where the King has the great good fortune to be introduced to Billy Liddell. Unfortunately we lose to Arsenal and Liverpool’s decline soon begins. The cabal of local business men and dignitaries who would run clubs in those days fail to invest in the ground or the players. And when the team manager retires through ill health, in 1951, they miss the chance to employ someone already impressing in the lower divisions. Bill Shankly refuses the job as the Directors insist that they will be the ones to pick the team. Eight years of decline ensue before they see sense. I954. I’m born and the team get relegated to the Second Division. No need to look so happy about it you 3 on the end of the front row. Billy Liddell stays though, even passing up on lucrative offers to go and play abroad. So around our house he’s seen as someone very special. But also as someone very much like us. Liverpool depend on Billy though. Nearly always the leading scorer and a fit and strong man, he can head the heavy case ball they use in these days into the net from outside the penalty area. Billy scoring against Blackburn Rovers. One season we look like slipping into the Third Division. But thanks to Billy’s 30 goals we pull through safely. 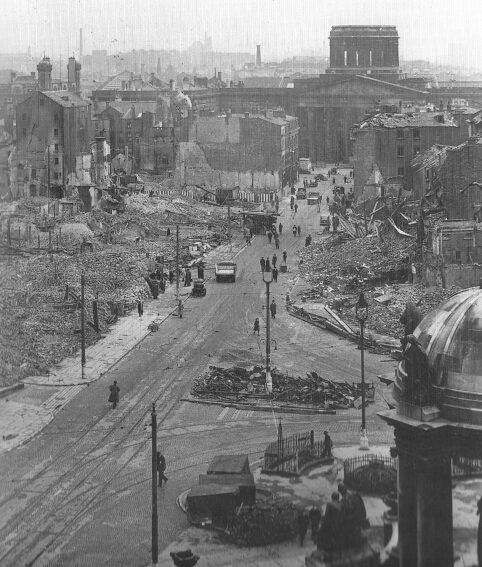 Meanwhile the City seems to be going around destroying the things Hitler missed. Vast swathes of terraced housing are pulled down, particularly around Everton and Breck Road. Some are very poor quality, but many are better than what gets left. Some will be replaced by tower blocks, but much of the land won’t be built on until the early 1980s. 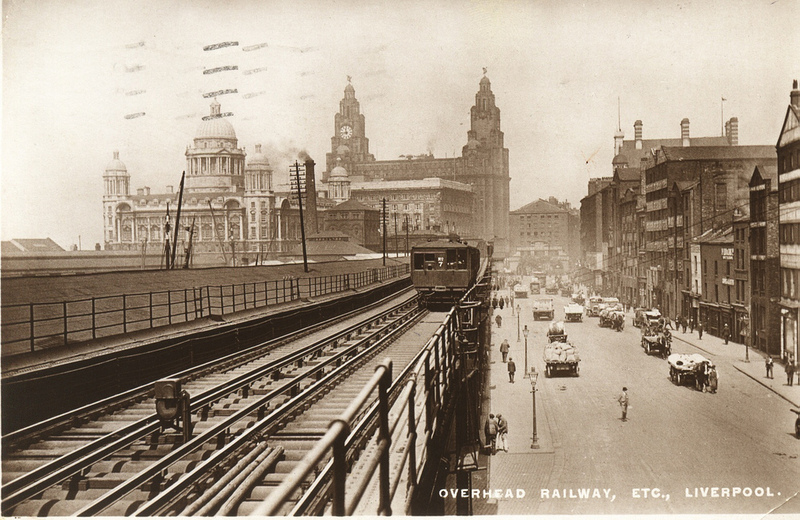 Our beloved Overhead Railway is closed down. I’m disappointed at the time and still see this as a short-sighted act of sheer municipal vandalism. Then we lose our trams. 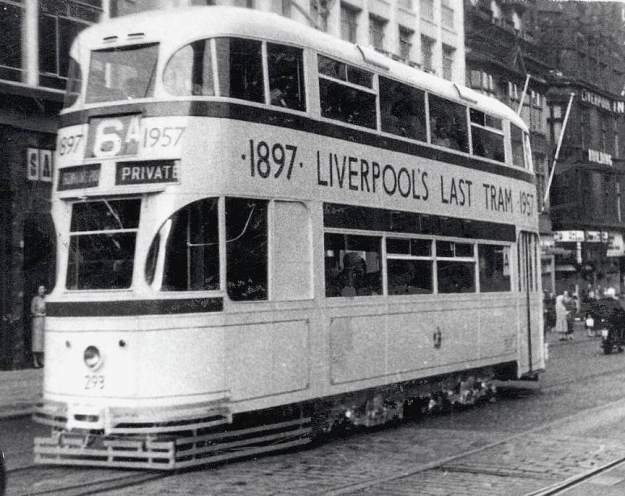 The last tram, September 1957. I’m up on the first floor of a shoe shop in Lord Street watching the the tram pass here. Again, I’m upset and bewildered. But still Billy battles on. Doing all he can to get us out of the Second Division. 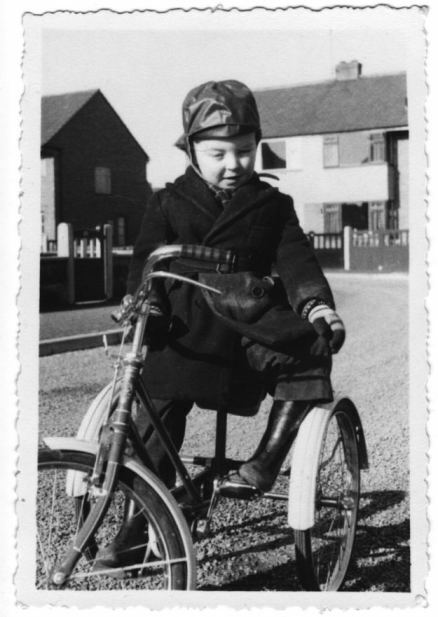 Me in 1957/58. Not ready for the first team yet. Billy is a tough man in what is then a very physical game. Ending most games black and blue with bruises. But he’s always fair, never fouls deliberately, never gets angry when fouled and is never booked in his whole career. Everyone looks up to him and he’s often to be found in Liverpool’s schools. Talking to everyone about football, of course. But also about making their way in the world and being valued members of society. Billy is invited to become a magistrate and accepts, spending the rest of his life on this particular bench. Even people being fined or otherwise punished don’t seem to mind so much when it’s ‘Our Billy’ handing out the justice and will treasure his signature on their verdicts. At last, in 1959, sense finally prevails and Bill Shankly becomes Liverpool’s new manager. With full authority over picking the team and funds to rebuild us and get us back to the top division, where we belong. 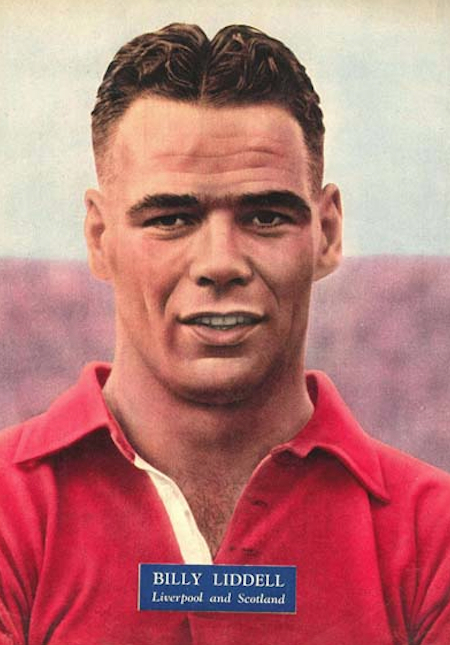 Unfortunately it all comes too late for Billy Liddell. He’s still here as the 1960s arrive, but 39 now, slowing down and more in the reserves than the first team. Still here when the new v-necked kits arrive. But it’s time for our Billy to retire. Time for the benefit match that is the one big payday footballers ever get at this time. I have very vague memories of being taken to this match. The first match I think I ever go to. The only thing I remember about it is the noise and being in a great big football ground. I’m not sure I can see very much of the pitch. But I am here to witness the final act in the career of the great man who lifted up all of our spirits in Liverpool for all of these years. 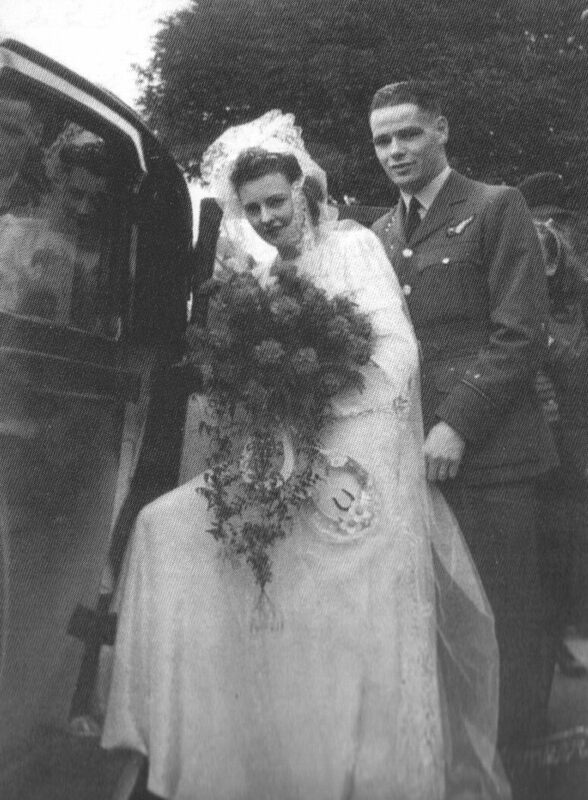 The Testimonial raises over £6,000 and Phyllis and Billy, married in 1946, can finally afford to buy a house. In the bleak days of the 1980s as the Thatcher government waged economic and ideological war on Liverpool it would often be only the football teams, once again, that lifted our spirits. 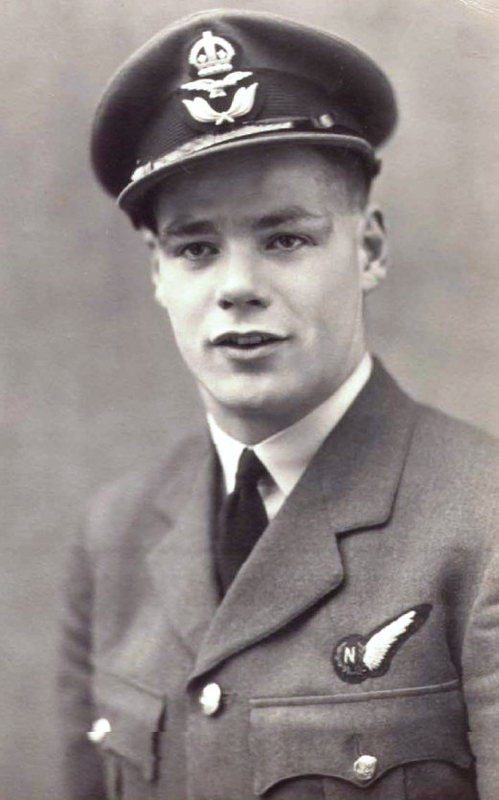 Following on from Billy Liddell doing it, more or less on his own, through the 1940s and 50s. When it was a people’s game and the footballers were much like the rest of us. 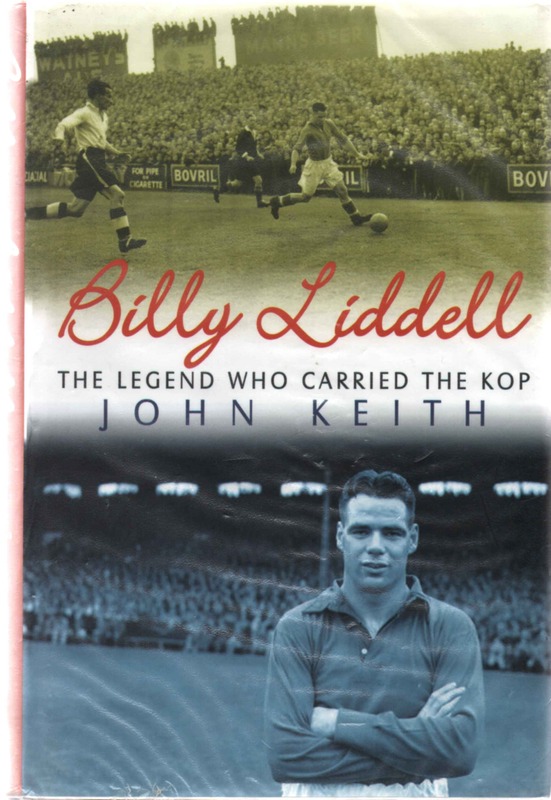 A great deal more about Billy Liddell in this biography of him by John Keith. Stored in Liverpool Central Library, where else? Where all the sacred texts about our city are kept for us.